Cannabinoids as gastrointestinal anti-inflammatory drugs. The endocannabinoid system modulating levels of consciousness, emotions and likely dream contents. “Cannabinoids are derivatives that are either compounds occurring naturally in the plant, Cannabis sativa or synthetic analogs of these molecules. The first and most widely investigated of the cannabinoids is ∆9-tetrahydrocannabinol (Δ9-THC), which is the main psychotropic constituent of cannabis and undergoes significant binding to cannabinoid receptors. These cannabinoid receptors are seven-transmembrane receptors that received their name from the fact that they respond to cannabinoid compounds, including Δ9-THC. The cannabinoid receptors have been described in rat, human and mouse brains and they have been named as the CB1 and CB2 cannabinoid receptors. Later, an endogenous molecule that exerts pharmacological effects similar to those described by ∆9-THC and binds to the cannabinoid receptors was discovered. This molecule, named anandamide, was the first of five endogenous cannabinoid receptor agonists described to date in the mammalian brain and other tissues. Of these endogenous cannabinoids or endocannabinoids, the most thoroughly investigated to date have been anandamide and 2-arachidonoylglycerol (2-AG). Over the years, a significant number of articles have been published in the field of endogenous cannabinoids, suggesting a modulatory profile in multiple neurobiological roles of endocannabinoids. The general consensus accepts that the endogenous cannabinoid system includes natural ligands (such as anandamide and 2-AG), receptors (CB1 and CB2), and the main enzymes responsible for the hydrolysis of anandamide and 2-AG (fatty acid amide hydrolase [FAAH] and monoacylglycerol lipase [MAGL], respectively) as well as the anandamide membrane transporter (AMT). To date, diverse pieces of evidence have shown that the endocannabinoid system controls multiple functions such as feeding, pain, learning and memory and has been linked with various diseases, such as Parkinson´s disease. Among the modulatory properties of the endocannabinoid system, current data indicate that the sleep-wake cycle is under the influence of endocannabinoids since the blocking of the CB1 cannabinoid receptor or the pharmacological inhibition of FAAH activity promotes wakefulness whereas the obstruction of AMT function enhances sleep. However, no solid evidence is available regarding the role of the endocannabinoid system in an unquestionable emotional component of the sleep: Dream activity. Since dreaming is a mental activity that occurs during sleep (characterized by emotions, sensory perceptions, and bizarre components) and the endocannabinoid system modulates neurobiological processes involving consciousness, such as learning and memory, attention, pain perception, emotions and sleep, it is acceptable to hypothesize that the endocannabinoid system might be modulating dream activity. In this regard, an accumulative body of evidence in human and animal models has been reported regarding the role of the endocannabinoid system in the control of emotional states and dreams. An Australian nationwide survey on medicinal cannabis use for epilepsy: History of antiepileptic drug treatment predicts medicinal cannabis use. “Epilepsy Action Australia conducted an Australian nationwide online survey seeking opinions on and experiences with the use of cannabis-based products for the treatment of epilepsy. The survey was promoted via the Epilepsy Action Australia’s main website, on their Facebook page, and by word of mouth. The survey consisted of 39 questions assessing demographics, clinical factors, including diagnosis and seizure types, and experiences with and opinions towards cannabis use in epilepsy. A total of 976 responses met the inclusion criteria. Results show that 15% of adults with epilepsy and 13% of parents/guardians of children with epilepsy were currently using, or had previously used, cannabis products to treat epilepsy. Of those with a history of cannabis product use, 90% of adults and 71% of parents reported success in reducing seizure frequency after commencing cannabis products. The main reasons for medicinal cannabis use were to manage treatment-resistant epilepsy and to obtain a more favorable side-effect profile compared to standard antiepileptic drugs. “Medicine continues to struggle in its approaches to numerous common subjective pain syndromes that lack objective signs and remain treatment resistant. Foremost among these are migraine, fibromyalgia, and irritable bowel syndrome, disorders that may overlap in their affected populations and whose sufferers have all endured the stigma of a psychosomatic label, as well as the failure of endless pharmacotherapeutic interventions with substandard benefit. The commonality in symptomatology in these conditions displaying hyperalgesia and central sensitization with possible common underlying pathophysiology suggests that a clinical endocannabinoid deficiency might characterize their origin. Its base hypothesis is that all humans have an underlying endocannabinoid tone that is a reflection of levels of the endocannabinoids, anandamide (arachidonylethanolamide), and 2-arachidonoylglycerol, their production, metabolism, and the relative abundance and state of cannabinoid receptors. Its theory is that in certain conditions, whether congenital or acquired, endocannabinoid tone becomes deficient and productive of pathophysiological syndromes. When first proposed in 2001 and subsequently, this theory was based on genetic overlap and comorbidity, patterns of symptomatology that could be mediated by the endocannabinoid system (ECS), and the fact that exogenous cannabinoid treatment frequently provided symptomatic benefit. However, objective proof and formal clinical trial data were lacking. Currently, however, statistically significant differences in cerebrospinal fluid anandamide levels have been documented in migraineurs, and advanced imaging studies have demonstrated ECS hypofunction in post-traumatic stress disorder. Additional studies have provided a firmer foundation for the theory, while clinical data have also produced evidence for decreased pain, improved sleep, and other benefits to cannabinoid treatment and adjunctive lifestyle approaches affecting the ECS. Various strategies to treat CED conditions are possible. A direct approach with CB1 agonists must recognize the fact that the ECS operates as a homeostatic regulator that sometimes requires a gentle pharmacological nudge, rather than a forceful shove, by synthetic full agonists. Thus, small doses of a weak partial agonist (e.g., THC) should be considered, which would not induce tolerance and may jump-start the ECS. Even THC alone is poorly tolerated or appreciated by patients,98 and standardized whole cannabis extracts that contain additional synergistic and buffering components, such as CBD and cannabis terpenoids, are certainly preferable.93 Alternatively, FAAH inhibitors will also raise AEA levels, but only CBD among them has achieved current legal commercial market availability. Pharmaceutical approaches affecting endocannabinoid transport or its genetic regulation would also hold promise. Beyond drug interventions, a growing body of knowledge supports the realistic goal that lifestyle approaches should be integral to the treatment of CED; specifically, low-impact aerobic regimens have demonstrated beneficial effects on endocannabinoid function,99 and as discussed above, dietary manipulations with probiotics and prebiotics may ameliorate not only IBS symptoms but also the entire spectrum of CED conditions. Ultimately, multimodality approaches are most likely to be fruitful in treatment of these common yet difficult clinical challenges. “Most adults who occasionally use cannabis find it pleasurable and don’t experience substantial problems. Allodynia Lowering Induced by Cannabinoids and Endocannabinoids (ALICE). Social correlates of health status, quality of life, and mood states in patients treated with cannabidiol for epilepsy. 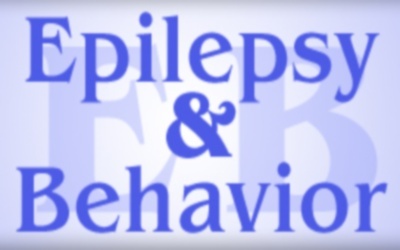 “Social characteristics, such as socioeconomic status and race/ethnicity, play a role in the treatment and outcomes of patients with epilepsy (PWE), but little is known about how these factors affect patients receiving cannabidiol (CBD) to treat seizures. This exploratory study examined the sociodemographic profile of patients treated with CBD (n=80) and associations between social factors and patient-centered outcomes – overall health status, Quality of Life in Epilepsy-89 (QOLIE-89), and Profile of Mood States (POMS) – in this population. Associations were examined using Pearson correlations and multiple ordinary-least-squares regression (alpha=0.1). The sample was predominantly white (96%) and non-Hispanic/Latino (96%); 76% of patients had family incomes of $40,000+/year. Some patients/families reported experiencing food scarcity (13%), not being able to make ends meet (6%), or not being able to afford antiepileptic medications (8%). The patients’ health ratings declined with age and income (p≤0.014), and there was a statistically significant interaction (p<0.055) between these variables: for example, a higher-income 10-year-old had a predicted health rating of 3 (“very good”), followed by a higher-income 40-year-old with a rating of 2 (“good”), a low-income 10-year-old with a rating of 1 (“fair”), and a low-income 40-year-old with a rating of 0 (“poor”). Concise review of the management of iatrogenic emesis using cannabinoids: emphasis on nabilone for chemotherapy-induced nausea and vomiting. “Chemotherapy-induced nausea and vomiting (CINV) is a prevalent, distressing, and burdensome side effect of cancer chemotherapy. It is estimated to affect the majority of patients receiving certain anti-cancer drug regimens and can be treatment-limiting, even for life-saving medications. Despite seemingly numerous options, such as antimuscarinic anticholinergics, antihistamines, 5-HT3 receptor antagonists, dopamine receptor antagonists, and neurokinin-1 receptor antagonists, preventative therapies are often inadequately effective, particularly for “delayed CINV”-leaving an important unmet clinical need. Cannabinoid receptor agonists, by virtue of their unique mechanism of action and efficacy and safety data reported in clinical trials, appear to offer a useful additional option. Chronic and acute adenosine A2A receptor blockade prevents long-term episodic memory disruption caused by acute cannabinoid CB1 receptor activation. “Cannabinoid-mediated memory impairment is a concern in cannabinoid-based therapies. Caffeine exacerbates cannabinoid CB1receptor (CB1R)-induced memory deficits through an adenosine A1 receptor-mediated mechanism. We now evaluated how chronic or acute blockade of adenosine A2A receptors (A2ARs) affects long-term episodic memory deficits induced by a single injection of a selective CB1R agonist. FAAH inhibition produces antidepressant-like efforts of mice to acute stress via synaptic long-term depression.